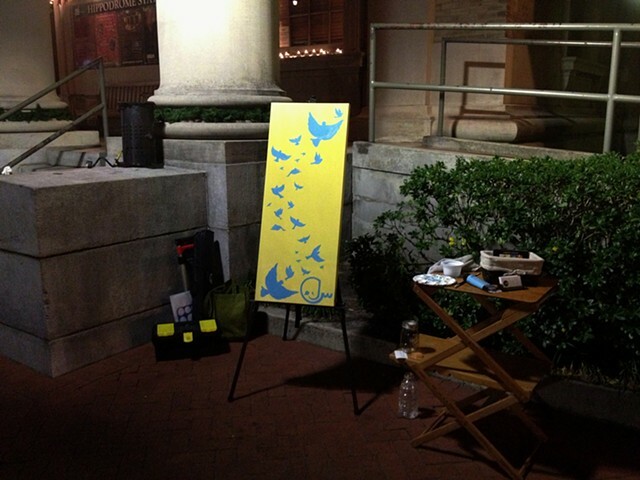 In the midst of chatting with old friends and making new ones during Artwalk, I began this painting about peace. The Arabic word for peace is written in the bottom right hand corner of the canvas, and from it doves fly an undulating path up towards the sky. When complete, the birds will be decorated with bright patterns similar to what you might find in henna designs.